Ethanol/Biofuels using the Jetcooker - Hydro-Thermal Corp. Achieving the ideal yield, producing desirable co-products, and reducing energy usage are a few of the many challenges facing ethanol producers. If you need to ensure a maximum yield during the mashing process or want to reduce energy usage per bushel, we have your solution. Replace your heat exchangers and spargers with a product that will improve your product quality, ensure consistency and production efficiency. The type of heater you need is dependent on how it will be used. No matter what your application, Hydro-Thermal has the solution for every application in ethanol and biofuel production. Autopilot: The Autopilot automatically adjusts the Hydroheater’s product flow path as process conditions change to maintain a constant pressure drop across the unit. This results in optimized shear, mixing characteristics, and more effective starch conversion, leading to lower enzyme usage and higher yields. Co-Pilot™: The Co-Pilot™ is designed to complement the K600 Hydroheater and K6 Autopilot, and is used to calibrate the electrical “zero” position of the Combining Tube (CT). Once the Autopilot PLC program is updated for the K600 Hydroheater, the Co-Pilot can be used to calibrate the CT while the heater is offline for maintenance. No further programming is required from Hydro-Thermal of the PLC. 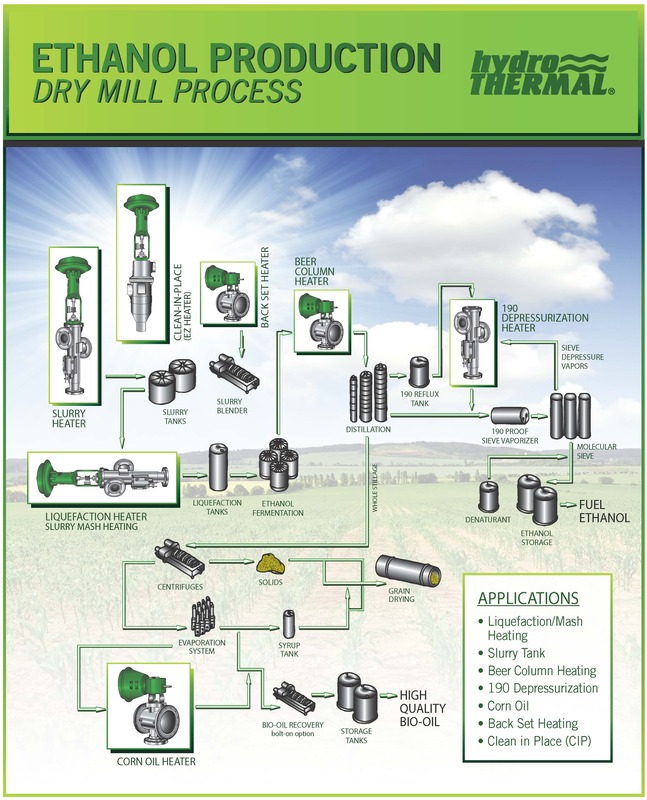 Achieve the highest possible ethanol yield in either dry or wet milling operations. Heating the corn mash in the Hydroheater (also called the Jetcooker) is the first step to opening the starch molecules so the enzymes can break it down into sugar. Maintaining a constant pressure drop across the JetCooker will optimize shear, mixing characteristics, and overall performance efficiency. Adjustments can be made to maintain the optimal pressure drop during operation even as process conditions change. This is done by adjusting the size of the gap between the combining tube and nozzle. For more materials on liquefaction, see the resources section for our starch website. Our solution not only decreases the Btu load required by a boiler via recycling depressurization vapors, but also reduces cooling tower load for a more favorable water balance. Experience a one to two year return on your investment with Hydro-Thermal’s Depressurization Vapor Condenser System. An ethanol producer can achieve significant energy savings by reducing the amount of flow through the vaporizer. In addition, the system reduces water usage resulting in a more favorable ratio of water used to ethanol produced. See the resource section below for a document with more information about depressurization. Hydro-Thermal’s solution reduces viscosity that provides additional flexibility for slurry solids adjustments and a reduction in downstream equipment load demand. It has also shown an improvement in corn oil yield. Finally, it provides a more uniform heating solution that eliminates mash hot and cold spots within the slurry tank. This will eliminate the need for tank sparging and also bring additional opportunity in potentially reducing enzyme dosing rates. A Hydroheater is used in the recirculation line and pulls from the coldest part of the slurry tank. The liquid is then re-circulated back to the slurry tank causing instantaneous mixing and more uniform temperature throughout the tank. Hydro-Thermal provides all work and materials necessary in this application, a turnkey solution with many benefits to boast. If you could like additional information on slurry tank heating, click here. Using the Industrial Hydroheater prior to centrifuge eliminates residue build-up and reduces viscosity allowing for proper separation of corn oil from corn syrup. Hydro-Thermal understands the importance of additional profit and revenue streams. Therefore, the Hydroheater/Jetcooker can be used to produce cellulosic ethanol. A bolt on process is used while pulling a slip stream from product that is already being produced at a standard ethanol facility. Utilizing the Jetcooker has many benefits including precise and accurate temperature control, increasing ethanol yield and corn oil production, as well as reducing energy costs. Discover new revenue streams and get the benefits of a D3 tax credit RINs by utilizing the Hydroheater to make cellulosic ethanol at your facility. Our heaters sufficiently hydrolyzes and opens up the structure of lignin-based biomass feedstocks to allow efficient and effective enzyme hydrolysis of the hemicellulosic sugars. Our product's straight-through patented design is ideal for thick slurries and high fiber content common to a wide variety of biomass feedstocks. Depending on the pretreatment process, Hydro-Thermal's solution can be designed and constructed around specific process conditions, such as high temperature, low pH and high pressures. See the resource section below for a document with more information about cellulosic pretreatment. Our direct steam injection heater is used to heat back set before going into the slurry blender to ensure that the ideal 185ºF is reached. The heater is strategically located after the cook water tank and cook water exchanger, but before the slurry blender so that benefits are achieved as the back set enters the slurry blender. For those who haven’t considered heating their back set, there are a lot of advantages. First, you have the flexibility of raising the temperature which allows for more uniform temperature of mash throughout the slurry blender/tank. Second, there is a potential for improved energy savings throughout the cook process. Third, the higher, more uniform temperature throughout the slurry blender and tank, allows for potential energy and enzyme savings. Plus, other equipment load demand will be reduced while being able to reach precise temperature set points. See the resource section below for a document with more information about back set heating. We have recently identified a new offering within the ethanol industry for precise temperature control. This includes installing a non-shear (Solaris) after the beer well but before the beer column for the existing mash stream. The goal is to provide a more consistent/accurate mash temperature to the beer column (135ºF current to 170ºF). In addition, there is an anticipated reduction in the beer column base loss, reduced energy usage and more flexibility/efficiency from the beer/mash exchangers, cleaning cycles and chemical usage. Finally, there is an expected reduction in the beer bottoms base loss. See the resource section below for a document with more information about beer mash slurries. Otherwise, click here to read our blog about beer column. Hydro-Thermal’s products heat thin stillage/syrup beyond the normally targeted temperatures and can help ethanol producers achieve their minimum feed tag specifications. The result is increasing corn oil production numbers and ultimately increasing revenue. These products provide accurate and consistent temperature control. The added temperature works as an emulsifier. 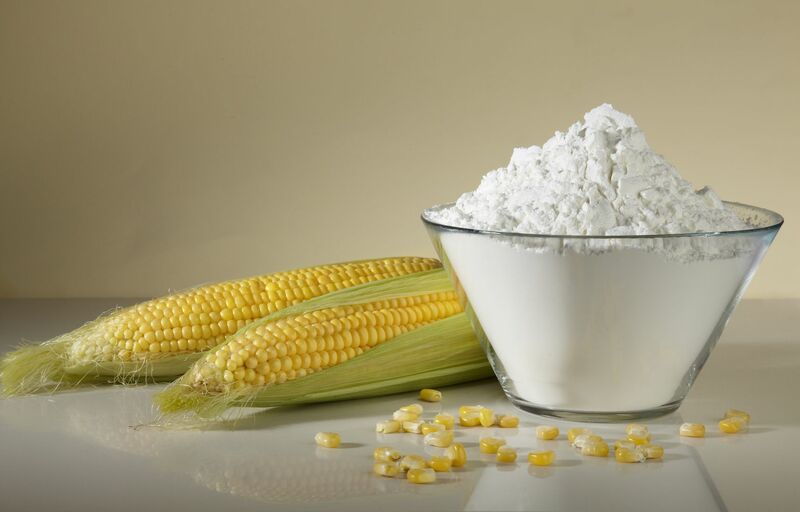 As a result, ethanol producers may be able to reduce or eliminate their emulsion breaker chemicals while still being able to maintain or increase oil production. See the resource section below for a document with more information about corn oil production. 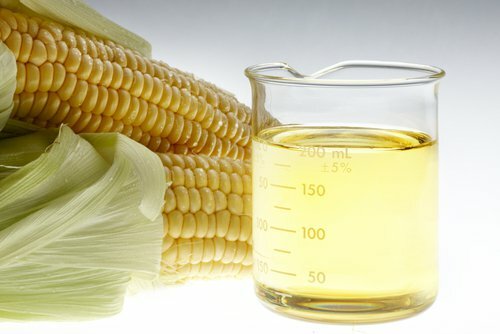 Otherwise, click here to read our blog about corn oil. Hydro-Thermal can heat RO inlet water or heat membrane back flush water while achieving precise temperature control and eliminating wasted energy. RO filters are designed for a given water temperature. As water cools, it thickens and the RO capacity decreases. For every 1ºF below design temperature, a RO can lose up to 3% of capacity. A Hydroheater can keep the inlet water temperature at ±1ºF of the set point so the RO can operate at the designed capacity without wasting energy over heating the water. See the resource section of our chemical or metal microsite for a general RO document. Proper cleaning and sanitation is an important safety concern for you and your customers. Hydro-Thermal’s solution allows you to clean equipment at the optimal temperature in one pass. It also allows you the flexibility to easily switch from tempered water to hot flush temperatures due to our technology’s internal modulation. We can heat the fluid going into the tank; re-circulate the tank to maintain a specific temperature, or leave the tank cold and heat the liquid exiting the tank, producing hot water on demand. Many customers see a return on investment (ROI) in less than three months. Has your plant increased throughput since your Hydroheater was installed? It may be time to upgrade your equipment to ensure plant efficiency. Read more here. Jetcooker troubleshooting tips - click here. Tips on how to acheive optimal yield using your JetCooker. Learn more here. Hydro-Thermal offers a variety of maintenance options giving you flexibility during your next shutdown. Read more here. 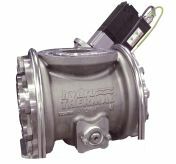 Are you interested in differential pressures within 0.1 psi? Click here to learn more about the upgraded Autopilot. Is your plant ready for winter? Click here to review our winter heating checklist. Click here to learn more about Elite Octane's slurry tank installation as well as Dr. Loren Chen's presentation at the FEW. This blog is written by our CFO from a financial perspective as ways to maximize profits by looking at expenses. Learn more here. An overview of Hydro-Thermal's in-house lab which has been used to test starch conversionusing our JetCooker. Read more here.